It is easy to believe that aerobic exercise is the best exercise for weight loss since after all, ever since the aerobics revolution of the 1980’s that is what we have been led to believe. However, this could not be father away from the truth. Aerobic exercise burns calories during the duration of the exercise. However it does nothing to shape up your muscles and much less to increase your metabolism permanently. As a matter of fact, if overdone, muscle tissue loss will be the end result. If you only did aerobics for fat loss, you will end up with a smaller but still flabby version of yourself. In addition, too much aerobic exercise will raise cortisol levels, thus making it harder for you to lose body fat and get those abs that you dream of. And for those who really believe in hours of this type of exercise, I have news for you: If you do too much aerobics then your metabolism slows down in order for the body to try to maintain balance (homeostasis). So what is the best exercise for weight loss? The answer to this is intense and short weight training sessions combined with some aerobic exercise. Surprised? Don’t be. 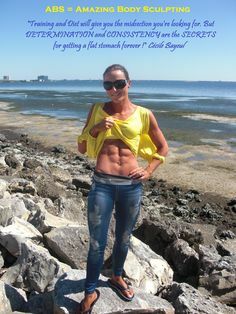 Why Weight Training Is The Best Exercise for Fat Loss and For Getting Your Abs? Weight training performed in the right manner and for the right short duration is the best exercise for fat loss, since weight training will not only increase your caloric expenditure during exercise, but also increases your metabolism permanently as weight training causes the creation of new muscle tissue; muscle that is metabolically active and that burns calories. A new pound of muscle can burn around 50 calories (+/- 10) depending on your metabolism. So 10 lbs of new muscle will allow you to burn as much as 500 extra calories every day! 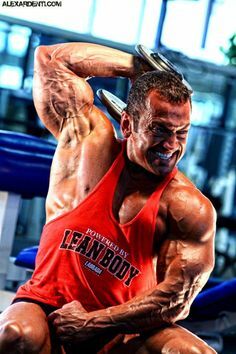 In addition, it is muscle what gives you a toned and lean looking physique. And if you are a woman reading this, please do not think that weight training will give you a bulky physique by accident. 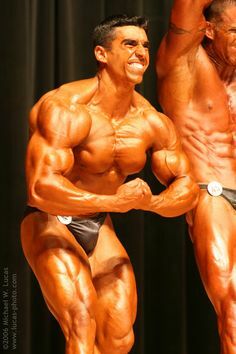 First of all, for women to lose their femininity they would need to take anabolic steroids (synthetic testosterone) combined with a very heavy weight training program and a bulk up diet in order for them to grow really big muscles. Needless to say, this is not what we are talking about here, and as a matter of fact, I took great care to design a weight training program specifically just for women in order to meet their individual needs. So when you combine the proper amount of weight training with the right amount of aerobic exercise, you can rest assured that whether you are a male or female, the body of your dreams (along with the abs) will be yours in no time. Go to part 5 of this article. 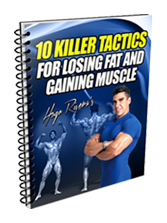 : Fat Loss Lie #5 – Reducing The Amount of Meals Per Day to 1 or 2 Is The Best Way To Lose Fat and Get Your Abs. Thank you Robert for the great feedback! I think women are realising more and more that you need to do strength training along with aerobic exercise to get fit, and that’s a good thing. Exercise is beneficial for the improving the muscular mass of the body as they pumps up the muscles in the body, when exercise is combined with the supplementary products then supplementary products help to increase the rate of formation of the muscular cell and tissue in the body. 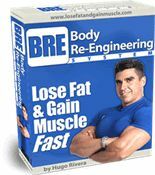 Supplements proved new muscles while exercise is used for enhancing the strength and shape of the muscles.